Well, I really really don’t know what to title this look. 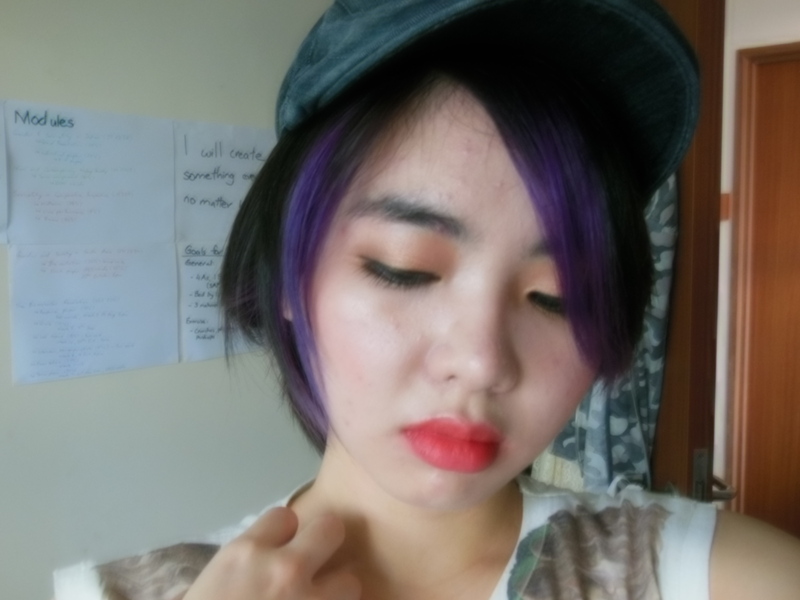 And I love my new cap, which I bought from Bangkok. I didn’t have much time to ensure that I took a decent photograph because I was rushing out of the room as I did it. I basically did this entirely with my hands (hooray cream products) and within ten minutes. Bright lips are such a fantastic way to perk up a look. You can barely tell I’d just rolled out of bed (took an afternoon nap that went a bit longer than I planned it to). 8) On my lips, I used OCC Radiate, a deep bright pink, and then patted OCC Androgyne, a translucent orange on top to get the pink coral you see. Again, entirely without any brushes. 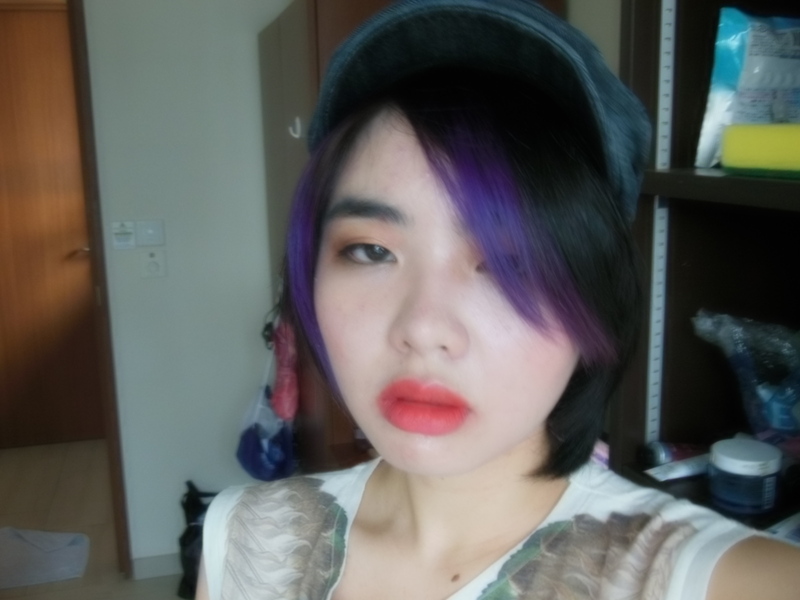 ^^ Quick and easy way to look put together; just use a complex shade for the eyeshadow and a bold lip. This entry was posted in Looks and tagged Beauty, Cosmetics, ellana illusion, jane iredale bb cream, makeup, occ androgyne, occ radiate, sleek sunset palette, soap and glory thick & fast, urban decay naked 3, urban decay perversion. Bookmark the permalink.